Part II: Still cruising in Puerto Vallarta. PaddleSurf: What kind of waves were you surfing? Were they rocky, reef or sand bottom? Were there urchins? Any spines in your feet? Tim: It’s a rock reef break. There is a sandy beach in front of the hotel that provides easy access to the break. On my prior trips we surfed the points near Punta Mita…some of them are a lot more rocky and there were lots of urchins. I didn’t see any urchins this trip but I would definitely recommend reef booties. I used Vibrams this time and they worked great!! 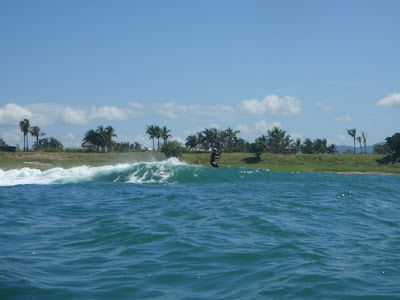 PaddleSurf: What kind of wave is Punta Mita? Soft, fast, sectiony or not a drop of water out of place? If you were to rank it on a scale level where would you put it? 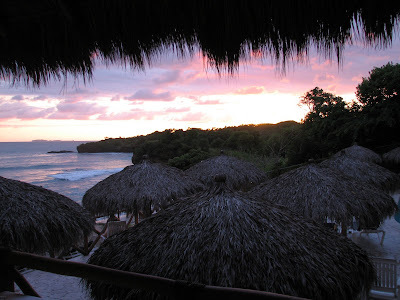 Tim: There are a number of different breaks in the Punta Mita area. Burros was a pretty fat wave with lots of face to work with. Lots of fun!! I have also surfed the big point El Farro…but never caught it really happening…I understand its world class when its breaking. 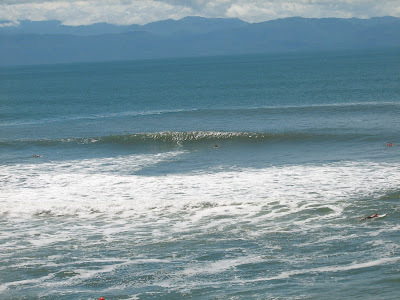 Other really good breaks include the Cove, (I sent pictures) La Launcha and Mystos (an offshore reef that breaks when it gets big). As you go north around the point you hit Sayulita…a quaint Mexican village with a right hand point right in the middle of town…also lots of good restaurants and shopping if you’re with your lady. PaddleSurf: Were there other surfers out when you surfed? How did they feel about you paddling out on the stand up board? Tim: The crowd at the Palladium was nominal….maybe 2-6 people max in the water other than me and my friends. Mind you we were there off season so that could change at other times during the year. Most of the breaks around the point are only accessible by boat. When we surfed the Cove this trip we were the only ones in the water. Check Back for Puerto Vallarta Part III and a whole slew of equipment reports! Stand Up Paddle Surf Lessons in San Diego- don't be nervous- anybody can stand up paddle! 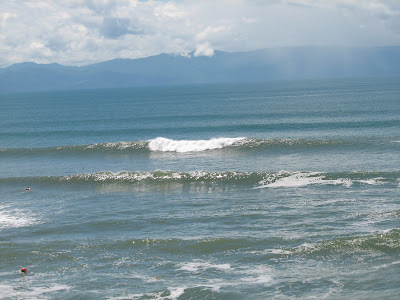 We also offer guided surf paddles and surf paddling lessons and coaching. Give us a call if you're ready to give it a shot, call us: 619.213.6622 or email john@paddlesurf.net.